Our range of products include duplex steel sheets, copper sheets, aluminium sheets, inconel sheets, brass sheets and titanium sheets. NeelKamal Steels is providing top quality Duplex Steel Sheets for years. They are the most reliable manufacturers of Duplex Steel Sheets because they use the best quality raw materials in their production. These Duplex Steel Sheets are much admired because they are corrosion resistant, durable, and stronger and it requires very less maintenance.Our huge range of Duplex Steel Sheets is used in welded pressure vessels where enhanced notch durability is necessary. Following the latest technology these Duplex Steel Sheets are made sturdy and durable so that it can provide long lasting service to the industries. Duplex Steel Sheets that we provide is of high quality, long-lasting and comes in a competitive price.As a distinguished association we are engaged in supplying, manufacturing and even exporting top grade Duplex Steel Sheets. These Duplex Steel Sheets are available in a variety of thickness starting from 1.0mm to 300mm and width starting from 1000mm to 3000mm or as per the customers demand. NeelKamal Steels is providing top quality Copper Sheets for years. They are the most reliable manufacturers of Copper Sheets because they use the best quality raw materials in their production. These Copper Sheets are much admired because they are corrosion resistant, durable, and stronger and it requires very less maintenance.Our huge range of Copper Sheets is used in welded pressure vessels where enhanced notch durability is necessary. Following the latest technology these Copper Sheets are made sturdy and durable so that it can provide long lasting service to the industries. Copper Sheets that we provide is of high quality, long-lasting and comes in a competitive price.As a distinguished association we are engaged in supplying, manufacturing and even exporting top grade Copper Sheets. 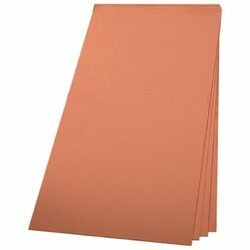 These Copper Sheets are available in a variety of thickness starting from 1.0mm to 300mm and width starting from 1000mm to 3000mm or as per the customers demand. NeelKamal Steels is providing top quality Aluminium Sheets for years. They are the most reliable manufacturers of Aluminium Sheets because they use the best quality raw materials in their production. These Aluminium Sheets are much admired because they are corrosion resistant, durable, and stronger and it requires very less maintenance.Our huge range of Aluminium Sheets is used in welded pressure vessels where enhanced notch durability is necessary. 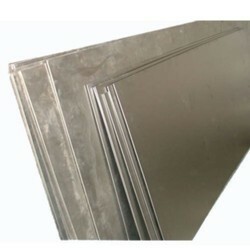 Following the latest technology these Aluminium Sheets are made sturdy and durable so that it can provide long lasting service to the industries. Aluminium Sheets that we provide is of high quality, long-lasting and comes in a competitive price.As a distinguished association we are engaged in supplying, manufacturing and even exporting top grade Aluminium Sheets. 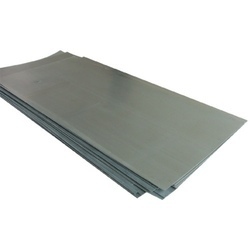 These Aluminium Sheets are available in a variety of thickness starting from 1.0mm to 300mm and width starting from 1000mm to 3000mm or as per the customers demand. NeelKamal Steels is providing top quality Inconel Sheets for years. They are the most reliable manufacturers of Inconel Sheets because they use the best quality raw materials in their production. These Inconel Sheets are much admired because they are corrosion resistant, durable, and stronger and it requires very less maintenance.Our huge range of Inconel Sheets is used in welded pressure vessels where enhanced notch durability is necessary. Following the latest technology these Inconel Sheets are made sturdy and durable so that it can provide long lasting service to the industries. Inconel Sheets that we provide is of high quality, long-lasting and comes in a competitive price.As a distinguished association we are engaged in supplying, manufacturing and even exporting top grade Inconel Sheets. These Inconel Sheets are available in a variety of thickness starting from 1.0mm to 300mm and width starting from 1000mm to 3000mm or as per the customers demand. NeelKamal Steels is providing top quality Brass Sheets for years. They are the most reliable manufacturers of Brass Sheets because they use the best quality raw materials in their production. These Brass Sheets are much admired because they are corrosion resistant, durable, and stronger and it requires very less maintenance.Our huge range of Brass Sheets is used in welded pressure vessels where enhanced notch durability is necessary. Following the latest technology these Brass Sheets are made sturdy and durable so that it can provide long lasting service to the industries. Brass Sheets that we provide is of high quality, long-lasting and comes in a competitive price.As a distinguished association we are engaged in supplying, manufacturing and even exporting top grade Brass Sheets. 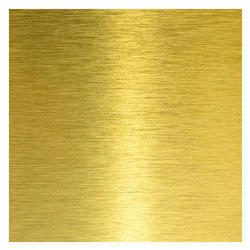 These Brass Sheets are available in a variety of thickness starting from 1.0mm to 300mm and width starting from 1000mm to 3000mm or as per the customers demand. NeelKamal Steels is providing top quality Titanium Sheets for years. They are the most reliable manufacturers of Titanium Sheets because they use the best quality raw materials in their production. These Titanium Sheets are much admired because they are corrosion resistant, durable, and stronger and it requires very less maintenance.Our huge range of Titanium Sheets is used in welded pressure vessels where enhanced notch durability is necessary. 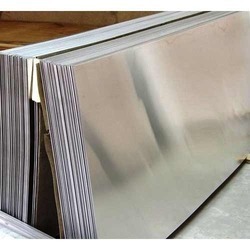 Following the latest technology these Titanium Sheets are made sturdy and durable so that it can provide long lasting service to the industries. 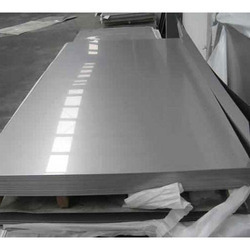 Titanium Sheets that we provide is of high quality, long-lasting and comes in a competitive price.As a distinguished association we are engaged in supplying, manufacturing and even exporting top grade Titanium Sheets. 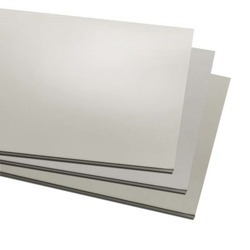 These Titanium Sheets are available in a variety of thickness starting from 1.0mm to 300mm and width starting from 1000mm to 3000mm or as per the customers demand. NeelKamal Steels is providing top quality Stainless Steel Sheets for years. They are the most reliable manufacturers of Stainless Steel Sheets because they use the best quality raw materials in their production. These Stainless Steel Sheets are much admired because they are corrosion resistant, durable, and stronger and it requires very less maintenance.Our huge range of Stainless Steel Sheets is used in welded pressure vessels where enhanced notch durability is necessary. 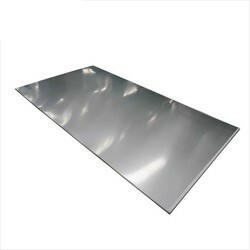 Following the latest technology these Stainless Steel Sheets are made sturdy and durable so that it can provide long lasting service to the industries. Stainless Steel Sheets that we provide is of high quality, long-lasting and comes in a competitive price.As a distinguished association we are engaged in supplying, manufacturing and even exporting top grade Stainless Steel Sheets. 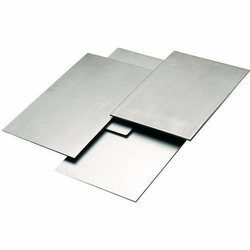 These Stainless Steel Sheets are available in a variety of thickness starting from 1.0mm to 300mm and width starting from 1000mm to 3000mm or as per the customers demand. NeelKamal Steels is providing top quality Nickel Alloys Sheets for years. They are the most reliable manufacturers of Nickel Alloys Sheets because they use the best quality raw materials in their production. These Nickel Alloys Sheets are much admired because they are corrosion resistant, durable, and stronger and it requires very less maintenance.Our huge range of Nickel Alloys Sheets is used in welded pressure vessels where enhanced notch durability is necessary. Following the latest technology these Nickel Alloys Sheets are made sturdy and durable so that it can provide long lasting service to the industries. Nickel Alloys Sheets that we provide is of high quality, long-lasting and comes in a competitive price.As a distinguished association we are engaged in supplying, manufacturing and even exporting top grade Nickel Alloys Sheets. 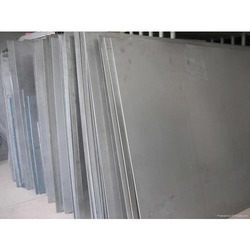 These Nickel Alloys Sheets are available in a variety of thickness starting from 1.0mm to 300mm and width starting from 1000mm to 3000mm or as per the customers demand. NeelKamal Steels is providing top quality Nickel Sheets for years. They are the most reliable manufacturers of Nickel Sheets because they use the best quality raw materials in their production. These Nickel Sheets are much admired because they are corrosion resistant, durable, and stronger and it requires very less maintenance.Our huge range of Nickel Sheets is used in welded pressure vessels where enhanced notch durability is necessary. Following the latest technology these Nickel Sheets are made sturdy and durable so that it can provide long lasting service to the industries. 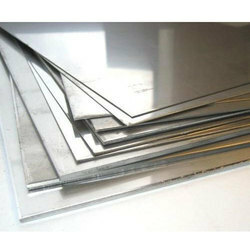 Nickel Sheets that we provide is of high quality, long-lasting and comes in a competitive price. As a distinguished association we are engaged in supplying, manufacturing and even exporting top grade Nickel Sheets. These Nickel Sheets are available in a variety of thickness starting from 1.0mm to 300mm and width starting from 1000mm to 3000mm or as per the customers demand. NeelKamal Steels is providing top quality Monel Sheets for years. They are the most reliable manufacturers of Monel Sheets because they use the best quality raw materials in their production. These Monel Sheets are much admired because they are corrosion resistant, durable, and stronger and it requires very less maintenance.Our huge range of Monel Sheets is used in welded pressure vessels where enhanced notch durability is necessary. Following the latest technology these Monel Sheets are made sturdy and durable so that it can provide long lasting service to the industries. Monel Sheets that we provide is of high quality, long-lasting and comes in a competitive price.As a distinguished association we are engaged in supplying, manufacturing and even exporting top grade Monel Sheets. These Monel Sheets are available in a variety of thickness starting from 1.0mm to 300mm and width starting from 1000mm to 3000mm or as per the customers demand.